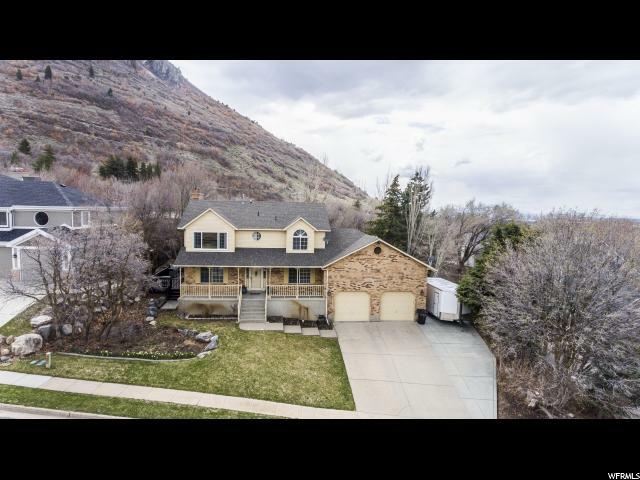 All HERITAGE GROVE homes currently listed for sale in North Ogden as of 04/19/2019 are shown below. You can change the search criteria at any time by pressing the 'Change Search' button below. "East bench home in North Ogden with secluded lot and seasonal flowing stream that meets the southern yard border. Five bedrooms with a very large master bedroom. Upgraded bathrooms. New two tone paint, base and casing. A beautiful private deck is right off the kitchen area for casual outdoor eating. The lot has scrub oak trees as well as recently planted fruit trees. This home has incredible views of Coldwater Canyon and is close to hiking and mountain biking trails. A pre-qualification letter to be submitted with ALL offers. Square foot measurement is provided as a courtesy and is based on county records. Buyer or buyers agent to verify all MLS information."